(1962) Richard Harrison, Isabel Corey. A rebellious Roman warriror fights for the freedom of a group of oppressed people. 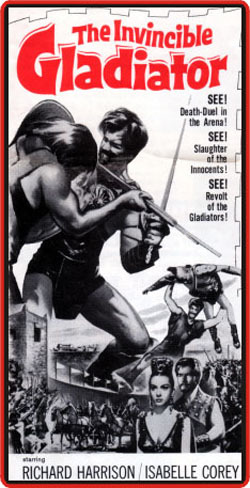 Lots of death duels and arena scenes. Good sword and sandal excitement. Color. Upgraded 3-96.